Family programming. What does one think of when one hears the term? One probably thinks of stuff that appeals more to kids than it does grown-ups, right? I.E. cartoons and other programming aimed at younger viewers. The reality of family programming is that it can include programs that grown-ups can watch with their younger counterparts, whether it is something new or perhaps even something older such as the classic television shows that today’s grown-ups watched when they were children. Keeping all of this in mind, one might ask what does that have to do with anything. It is important to note in setting up Phil’s Picks 2017 Top 10 New Family DVD/BD Box Sets. This year’s list features titles that will appeal to children and grown-ups alike. Some of the material might even appeal to both audiences at the same time (E.g. Cook’s Kitchen Season 10 and America’s Test Kitchen: Season 17). 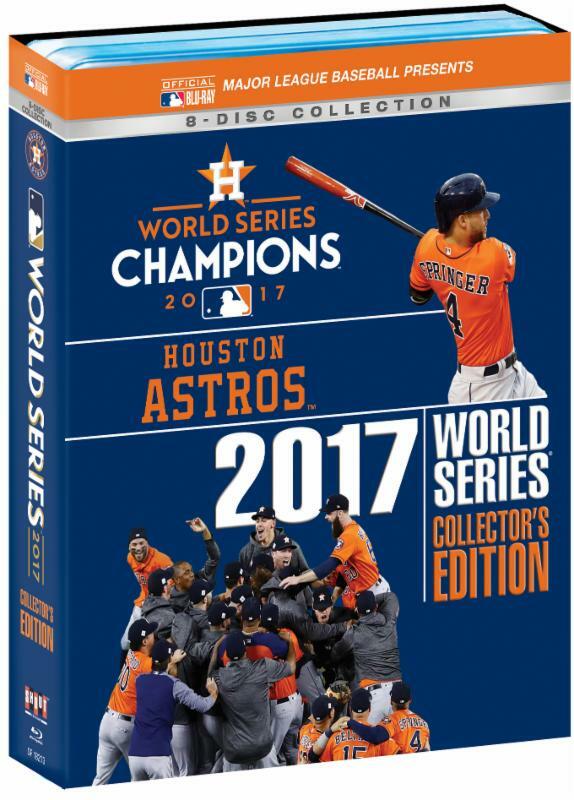 Both titles are included in this list alongside the ninth season of Nickelodeon’s Spongebob Squarepants and even the 2017 World Series Collector’s Edition, which the whole family can watch together. For those families who already enjoy baseball, it’s a great watch. For those parents perhaps hoping to connect with their children over a common interest, it’s just as critical. Add in everything in its presentation, and it proves an important release all the way around. Also included in this year’s list are new Peanuts collections from Warner Home Video as well as the “new” Real Ghosbuters DVD set, which was released this past October. It features “over 100 episodes” of the series. That still is not the entire series, but it is more cost efficient than buying each of the standalone collections separately. Originally aired in France, the programs included in those box sets definitely stand out from their American counterparts, but could still be entertaining for the whole family. For older youths, this list also features recent releases from Saban’s Power Rangers universe. Even Green Acres: The Complete Series has been pulled over as it might not wholly appeal to younger viewers, its content is appropriate for the whole family. It is a family friendly sitcom — something that is sadly missing from television today. Between the titles noted here and the others that make up the rest of this list, audiences will see that there is plenty out there for the whole family — just as much as there is solely for grown-ups. As with every previous list, this list features this critic’s Top 10 new Family DVD/BD Box Sets alongside five additional titles for a total of 15 titles. Without any further ado, here for your consideration is Phil’s Picks 2017 Top 10 new Family DVD/BD Box Sets. That’s it for this list. Now we’ve got the top new box sets for grown-ups and for families. Again, some of the grown-up sets are just as viable as family entertainment as they are for grown-up audiences. That is a testament to the ability of their content to reach a wide range of viewers. While this list is now done, there’s still work to be done. There is still a list of the year’s top new Children’s DVDs as well as potentially the year’s top new independent movies, theatrical releases and overall movies to wind down the year. It can’t all be guaranteed before the year ends tomorrow, but this critic will try nonetheless. So stay tuned! To keep up with the latest sports and entertainment reviews and news, go online to http://www.facebook.com/philspicks and “Like” it. Fans can always keep up with the latest sports and entertainment reviews in the Phil’s Picks blog at https://philspicks.wordpress.com. One of the greatest soundtracks of the 20th century is getting a special vinyl re-issue. 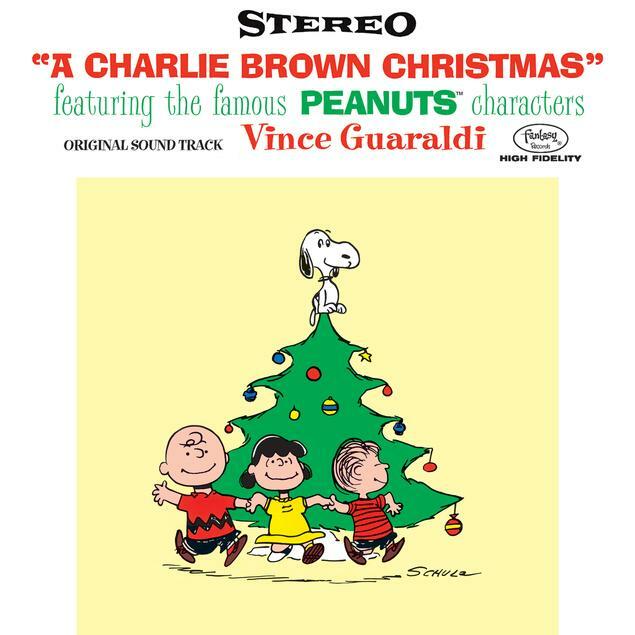 A Charlie Brown Christmas Original Soundtrack will be re-issued on vinyl Nov. 17 via Craft Recordings, the catalogue branch of Concord Music Group. Originally recorded by the Vince Guaraldi Trio, the new 180-gram vinyl re-issue will include rare artwork from the soundtrack’s original 1965 release. The soundtrack was certified quadruple platinum by the Recording Industry Association of America (RIAA) in 2016, making it one of the best-selling jazz albums in music history, second only to Miles Davis’ seminal 1959 album Kind of Blue. The record features some of the entertainment industry’s most well-known themes including the famed ‘Linus and Lucy’ and ‘Christmas Time Is Here,’ which opens the animated classic. The soundtrack’s sales numbers are collectively not its only key note. It was inducted into the Grammy ® Hall of Fame in 2007and the Library of Congress’ National Recording Registry in 2012. The track listing for the single-LP vinyl re-issue is noted below. Peanuts is one of the most beloved franchises both in the print realm and that of broadcast television, so it only makes sense that any number of DVDs and Blu-rays have been released (and re-issued) over the years featuring the franchise’s TV specials and comics adaptations. Those specials and collections have been released in large part through Warner Brothers Home Entertainment. 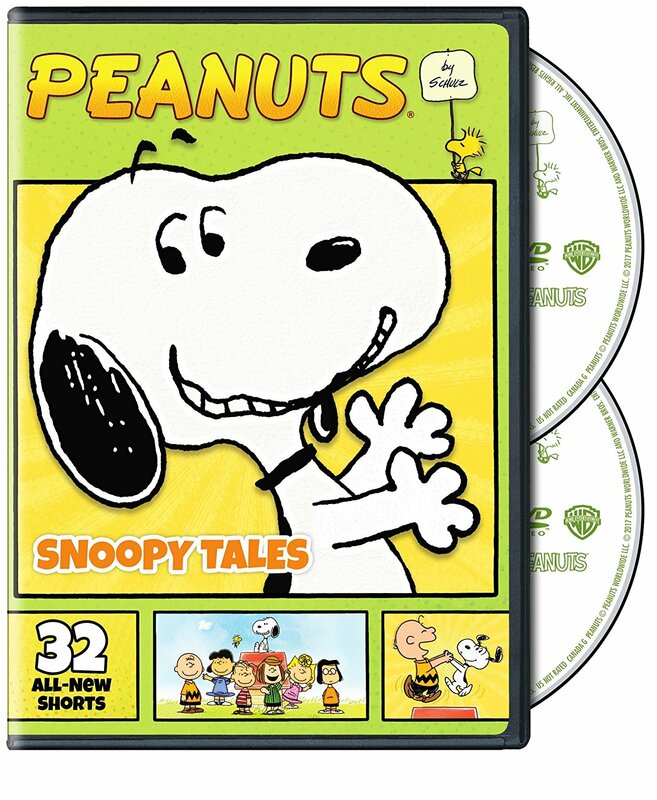 Late last month, Warner Home Video released yet another new Peanuts collection in the form of Peanuts: Snoopy Tales. This new two-disc collection of animated shorts is an intriguing new offering from Warner Home Video that is worth at least one watch. That is due in part to the writing. This will be discussed shortly. The shorts’ artwork is just as important to note here as their collective writing. That will be discussed later. The voice cast’s work rounds out the set’s most important elements. Each element is important in its own right to the collection’s overall presentation. All things considered, they make Peanuts: Snoopy Tales a collection that is worth at least one watch. Peanuts: Snoopy Tales is one of the most intriguing Peanuts offerings that Warner Home Video has released to date. Even being so unlike almost every one of its predecessors, it is still worth at least one watch. That is due in part to the collection’s overall writing. Rather than presenting one or two specific stories, this collection presents 32 separate shorts. The shorts in question are comprised of Peanuts strips presented in newspapers throughout the years. This means that while the stories are not new per se, the shorts give those strips a whole new life and identity here. On the surface, this is a good thing. On another level, the shorts’ segments are in themselves so short that audiences will be forced to devote their full attention to each short in order to fully appreciate each short and segment. That can be both good and bad. Keeping that in mind, the general writing involved in these shorts shows why it is so important to this collection’s presentation. It is just one of the key elements to note in the collection’s presentation. The artwork used in bringing the strips to life on the screen is just as important to the set’s collection as their collective writing and run times. The writing and run times of the shorts presented in Peanuts: Snoopy Tales is collectively key to the set’s presentation because they are both good and bad all at the same time. The segments that make up each short are lifted directly from Schulz’ famed comic strips. They are also short in themselves, essentially forcing audiences to devote more time and attention to each one in order to appreciate the whole of each short. It is certain to leave audiences divided. On a more positive note, the artwork used to bring the strips to life on screen will unite audiences in applauding its look. It is a near mirror image of the designs used in the segments’ print counterparts right down to the minutia of the segments’ backgrounds. Even the Peanuts gang itself looks almost identical on screen here as they do in print. Audiences will love that the animators went to such painstaking lengths to duplicate the look of the strips on screen all the way down to the lines showing Woodstock’s flight paths and his word bubbles complete with little lines to show his “words” among so much more detail. Between these noted details and so much more, it becomes clear that the artwork used in this collection of Peanuts shorts is its most important positive. While it might be the set’s most important element, it still is not the only remaining important element. The work of the shorts’ voice cast is important to note, too. The writing behind the shorts culled for Peanuts: Snoopy Tales and the artwork therein are both key elements to their presentation. The writing forces audiences to devote their fullest attention to the shorts. That can be both good and bad. The artwork presented in each short is really the shorts’ cornerstone. That is because it makes each short look just like the strips that are enjoyed every day in print. Having noted all of this, the last element to note here is that of the voice cast’s work. The voice cast impresses as it brings to life the Peanuts gang in each short. While obviously not the same cast that brought the kids to life in the original TV specials (and likely not the cast that voiced the kids in the more recent TV specials from the 90s), this voice cast still does an impressive job of bringing Charlie Brown and company to life on screen. Even as short as each segment is, the voice cast still entertains, paying homage to the work done by its predecessors. The end result is a collection of performances that audiences of all ages will enjoy. When those enjoyable performances are joined with artwork that makes Schulz’s comic strips jump from the page to the screen, what audiences get is an extensive group of Peanuts stories that the whole family will enjoy as long as they fully devote themselves to each adventure. Peanuts: Snoopy Tales is a collection of Peanuts shorts that the whole family will enjoy as long as they fully devote themselves to the truly short stories. As long as they do, they will find both the shorts’ artwork and the voice cast’s work to be equally worthy of praise. Keeping that in mind, the combination of all three of these elements makes Peanuts: Snoopy Tales an enjoyable addition to any Peanuts fan’s home DVD library. It is available now in stores and online. To keep up with the latest sports and entertainment reviews and news, go online to http://www.facebook.com/philspicks and “Like” it. Fans can always keep up with the latest sports and entertainment reviews and news in the Phil’s Picks blog at https://philspicks.wordpress.com. It’s hard to believe but there are now only two weeks left in the year. There’s still so much ground to cover before the year ends, too in terms of year-ender lists. This morning we move on again, staying still in the DVD and BD category, though. On tap today we have the list of the year’s top new DVD/BD Re-Issues. Included in this list are box sets and standalone DVDs/BDs. So it’s a mix. But it’s a solid mix. 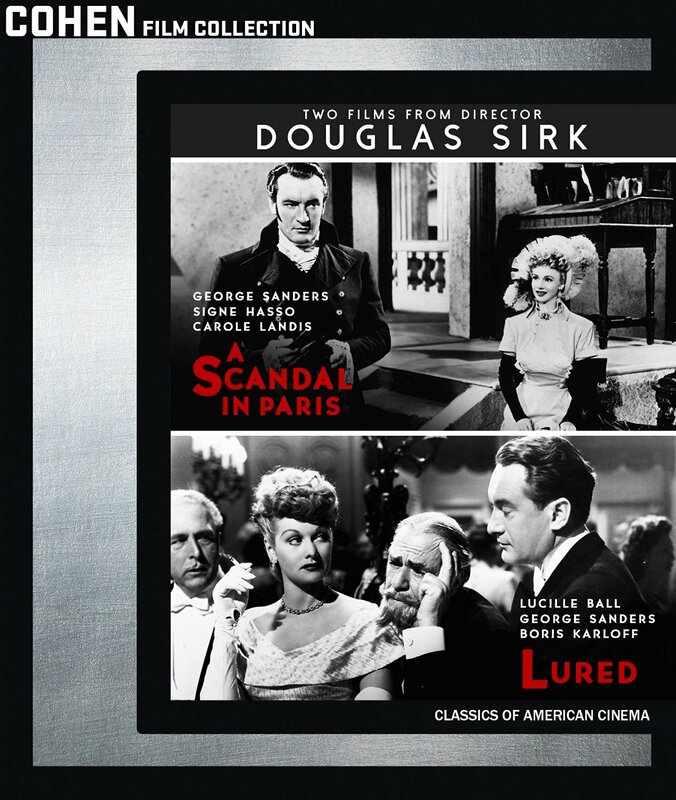 Topping this year’s list of top new re-issues is Cohen Media Group’s re-issue of the 1947 thriller Lured. The movie was one of star Lucille Ball’s very rare non-comedic roles, and she shines brightly in this movie. The bonus commentary included in the movie adds even more to its viewing experience. Speaking of bonus material, this critic took into account the re-issues’ bonus material as well as their packaging in assembling this list. It wasn’t easy. But it is what this critic feels is a solid list nonetheless. As a reminder, the list includes not only the Top 10 New DVD/BD re-issues but five additional honorable mention titles for a total of 15 titles. That being said, here for you is Phil’s Picks’ 2016 Top 10 New DVD/BD Re-Issues. Charlie Brown, Snoopy and the rest of the Peanuts gang are coming to Blu-ray for the first time ever next week with the re-issue of two classic Peanuts movies—Peanuts: Snoopy Come Home and Peanuts: A Boy Named Charlie Brown. The two new re-issues will be released Tuesday, September 6th in stores and online. While not the first time ever that the specials have been released to the masses (they were released on their own standalone platforms and in a pair of multi-movie sets just last year along with the full-length Peanuts movies Race For Your Life, Charlie Brown and Bon Voyage, Charlie Brown (And Don’t Come Back) ) these latest re-issues are a good fit for anyone that might not have been lucky enough to get their hands on the specials’ DVD re-issues. That is due at least in part to each movie’s general presentation. That will be discussed shortly. The story behind each movie is just as important to note as each movie’s presentation. That will be discussed later. The movies’ pricing rounds out each presentation’s most important elements. It brings everything full circle in the movies’ overall presentation. As important as they are to note, audiences should also keep in mind that CBS Home Entertainment and Paramount will be re-issuing them again later this fall in a new Blu-ray dual movie presentation just as they were last year in DVD format. Keeping that in mind, while these re-issues are enjoyable in their own right, audiences might be better served to wait for that upcoming re-issue and hold off on these. CBS Home Entertainment and Paramount’s new Blu-ray presentations of Peanuts: Snoopy Come Home and Peanuts: A Boy Named Charlie Brown are enjoyable new re-issues for anyone that might not already own the movies’ DVD presentation. That is due at least in part to the movies’ general presentations. The movies’ new Blu-ray presentations are exactly the same as that of their DVD counterparts. Audiences get in each movie just the movies, nothing more, nothing less. In other words they are bare bones releases just like their DVD counterparts. This is important to note because there are so many studios out there who make each of their titles’ re-issues different from one another in one way or another. That isn’t the case here. The movies’ Blu-ray presentations are mirror images of their DVD counterparts except for their platforms. Keeping that in mind, the stories behind the movies are just as important to note as the movies’ presentations. The general presentation of Peanuts: Snoopy Come Home and Peanuts: A Boy Named Charlie Brown are key to note for each. That is because each movie’s presentation is a mirror image of its DVD counterpart save for the fact that they are now on Blu-ray platform. That means audiences both with and without the movies’ previous DVD re-issues will be on the same level in terms of what each title offers for entertainment. Keeping that in mind, the movie’s stories are just as important to note as the presentations themselves. Peanuts: Snoopy Come Home follows Snoopy as he suddenly packs up and leaves Charlie Brown one day without any explanation whatsoever. At first everyone is left wondering why Snoopy left. The final revelation as to Snoopy’s disappearance is one that will move audiences of all ages to both smiles and tears. Peanuts: A Boy Named Charlie Brown is the first of the Peanuts movies to ever be created. 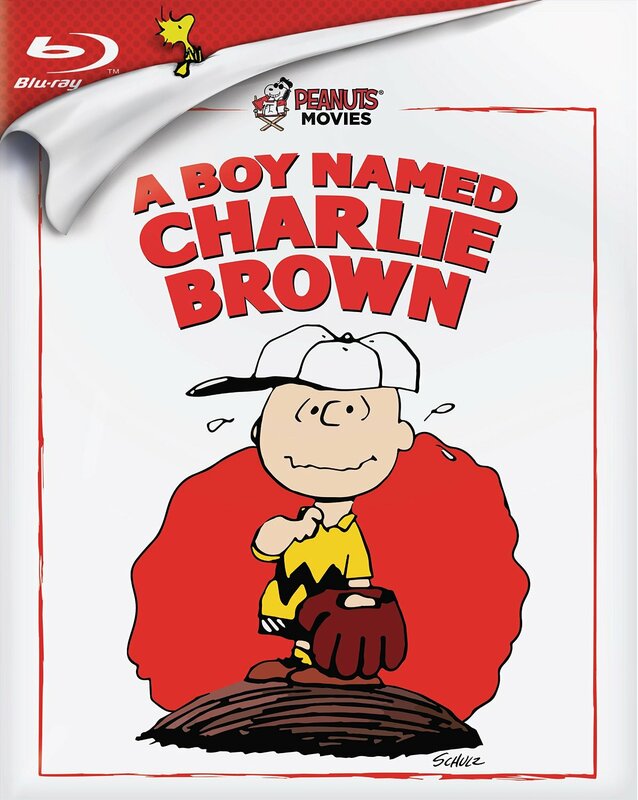 The movie follows Charlie Brown as he wins his school’s spelling bee and is sent to New York City to compete at a national level. Meanwhile Charlie’s best friend Linus is in search of his beloved blanket after it “mysteriously” disappears. Things seem to be going well for Charlie Brown at first. But when the big day arrives, things don’t turn out quite as he (and his friends) had hoped. The story still has a happy ending of sorts when it’s all said and done. 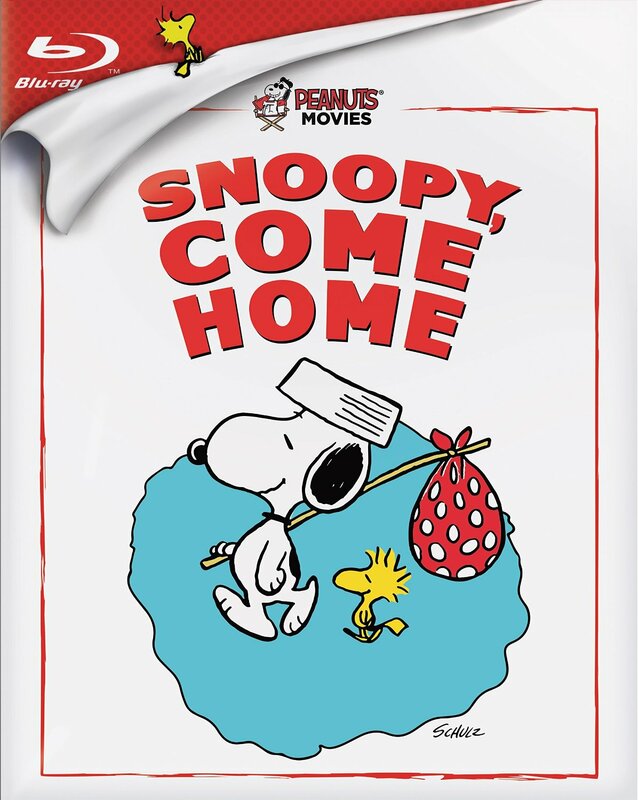 That being the case, its story is just as enjoyable as that of Peanuts: Snoopy Come Home. When the movies’ stories are set against their general presentation, the two elements join together to show even more why these new Peanuts Blu-ray re-issues are just as enjoyable as their recently released DVD counterparts. The stories are general presentations of each movie are not the movies’ only key elements to consider. Each movie’s pricing rounds out their most important elements. The general presentation of Peanuts: Snoopy Come Home and Peanuts: A Boy Named Charlie Brown and the movies’ stories are both key elements of the movies’ new Blu-ray re-issues. While each element plays its own important part in the movies’ collective presentation they are not the movies’ only important elements. The movies’ pricing in their new Blu-ray re-issues are just as important to note as the other, previously noted elements. Each movie’s retail MSRP is a little more than $17 each in its new Blu-ray platform. That is according to Amazon.com, where audiences can order each movie online. Wal-Mart lists each movie at the same price online. Best Buy has each movie listed at $17.99 in its new Blu-ray platform while Target doesn’t have either one listed. Odds are when and if Target opts to include the movies in its online listings, that price will likely be close to the same if not the same as those listed here. One can only hope that those prices will be lower in store. Considering that each movie is presented in exactly the same fashion as their DVD counterparts, those prices far too high. Given the price will be high simply because they are presented in Blu-ray. But by comparison the movies’ pricing on DVD is only about eight dollars each. That should make the movies’ Blu-ray platforms no more than $10 or $11 at the most…maybe $15, but no more than that. Keeping this in mind, the movies’ pricing is perhaps their only downfall. That is especially the case being that CBS Home Entertainment and Paramount are going to re-issue them again later this fall on a double-movie Blu-ray combo set; a set that will likely be an equal price for the two together as for just one movie on Blu-ray. All things considered, CBS Home Entertainment’s Blu-ray re-issues of Peanuts: Snoopy Come Home and Peanuts: A Boy Named Charlie Brown are both enjoyable in their own right. But any true Peanuts fan that doesn’t already own either movie on DVD will be better served to wait for the movies’ upcoming double-movie BD re-issue or to just pick up the movies’ DVD re-issues since they are the same as these re-issues and cheaper. CBS Home Entertainment and Paramount’s new Blu-ray re-issues of Peanuts: Snoopy Come Home and Peanuts: A Boy Named Charlie Brown are both enjoyable in their own right. Any true Peanuts fan will agree with that. At the same time, true Peanuts fans will also question-along with this critic—if they were even needed. That is because the general presentation of each movie is the same here as in their 2015 DVD re-issues. There is no more or less in these re-issues as was presented in the movie’s 2015 DVD re-issues. And the story presented in each movie is exactly the same as before, too. The movies’ MSRP across the board in their new Blu-ray re-issues puts the final nail in their proverbial coffin. While the movies are enjoyable thanks to their stories and their hand-drawn animation, that pricing—and the other previously noted elements–proves that true Peanuts fans would be better served to purchase the movies in their DVD platforms if they don’t already own them. Those that do already own the movies have no reason to purchase them again in these latest re-issues. All things considered, even those that don’t already own these movies on DVD would be better served to purchase them on DVD (especially in their four-movie set) unless they can’t find them on DVD. That is about the only reason that audiences should even consider purchasing them in their new Blu-ray platforms. To keep up with the latest sports and entertainment reviews, go online to http://www.facebook.com/philspicks and “Like” it. Fans can always keep up with the latest sports and entertainment reviews and news in the Phil’s Picks blog at https://philspicks.wordpress.com. CBS Home Entertainment and Paramount Media Distribution will re-issue two classic Peanuts TV specials again this fall. Peanuts: A Boy Named Charlie Brown and Peanuts: Snoopy, Come Home will be released in a special new Blu-ray double feature presentation this fall. The TV specials will be released in one complete collection on Tuesday, November 1st in stores and online. Their upcoming joint release will two months after the two movies will be released in their own standalone Blu-ray packages. The features’ standalone Blu-ray presentations will be released Tuesday, September 6th via CBS Home Entertainment and Paramount Media Distribution. The specials were have also been released a number of times on DVD both by themselves and with other Peanuts specials in recent years. Peanuts: A Boy Named Charlie Brown is the first of the Peanuts specials to ever be aired. It follows Charlie Brown as he unwittingly becomes his school’s representative in the national spelling bee. It all begins as Charlie sets out to disprove his fellow students who believe that he can’t even win the school spelling bee. Along the way Charlie Brown’s best friend Linus deals with the disappearance of his beloved blanket as he tries to help Charlie Brown prepare for the spelling bee. And back home scheming Lucy plans to take advantage of Charlie Brown’s potential success by naming herself his agent. Of course things don’t turn out quite as she, Charlie Brown, or anyone else expect. But the special still leaves audiences with smiles on their faces and feeling such support for everybody’s favorite underdog. Peanuts: Snoopy Come Home presents a completely different story. When Snoopy receives a letter in the mail, he suddenly leaves his doghouse and embarks on a cross-country journey. The reason for Snoopy’s journey is a mystery to everybody including Charlie Brown. That is until the contents of the letter are revealed. What comes next is a deeply moving story that will move audiences of all ages to tears of joy. Peanuts: A Boy Named Charlie Brown and Peanuts: Snoopy Come Home will both be available on Blu-ray on Tuesday, September 6th. Both titles are expected to retail for MSRP of $24.99. CBS DVD and Paramount will re-issue two classic Peanuts TV specials this summer. On Tuesday, September 6th, CBS DVD and Paramount will re-issue the classic Peanuts specials Peanuts: A Boy Named Charlie Brown and Peanuts: Snoopy Come Home on Blu-ray. It marks the first time that either special has ever been released on Blu-ray. Peanuts: A Boy Named Charlie Brown is the first of the Peanuts specials to ever be aired. It follows Charlie Brown as he unwittingly becomes his school’s representative in the national spelling bee. It all begins as Charlie sets out to disprove his fellow students who believe that he can’t even win the school spelling bee. Along the way Charlie Brown’s best friend Linus deals with the disappearance of his beloved blanket as he tries to help Charlie Brown prepare for the spelling bee. And back home scheming Lucy plans to take advantage of Charlie Brown’s potential success by naming herself his agent. Of course things don’t turn out quite as she, Charlie Brown, or anyone else expect. But the special still leaves audiences with smiles on their faces and feeling such support for everybody’s favorite underdog.